What are those funny looking pixellated squares that you now see on everything? QR codes. But what is it? QR codes are two-dimensional bar codes that can contain any alphanumeric text and often feature URLs that direct users to sites where they can learn about an object or place (a practice known as “mobile tagging”). Decoding software on tools such as camera phones interprets the codes. The codes are increasingly found in places such as product labels, billboards, and buildings, inviting passers-by to pull out their mobile phones and uncover the encoded information. Small in size, the code pattern can be hidden or integrated into an esthetically attractive image in newspapers, magazines, or clothing. How are they used in education? The code will be read with a camera on a phone or other device with a camera, through a QR reader and will redirect you to the appropriate URL or information contained within the QR code. It is a way to get information to people in a quick way. Or want to try making a QR code yourself? 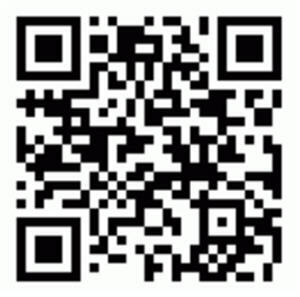 Check out one of the many QR code generators like this one.